When folks attend a Red Sox-Yankees game, they get the privilege of experiencing one of the greatest rivalries in the history of sports. They come to the ballpark knowing that there’s a good chance they’ll witness history in some way, shape, or form. Friday night was no exception, as fans at Yankee stadium were treated to one of the worst performances by a home plate umpire in the history of baseball. 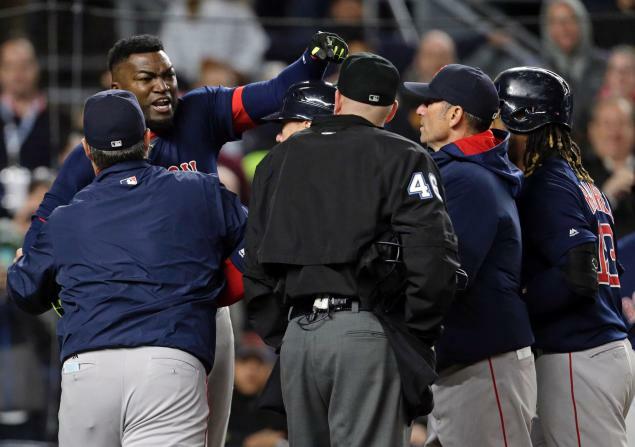 The worst part is that he clearly let his emotions get in the way after Ortiz reacted to the first pitch that was a foot out of the zone. He was going to ring up Papi on that last pitch no matter where it was. The result is two ejections and hopefully Ron Kulpa never umpiring a Major League Baseball game again. Previous Can The Red Sox Keep Winning? Next Is David Ortiz On His Way To The Greatest Final Season In MLB History?